2x0ng: A Retro Styled Procedural Puzzle-Combat Adventure, Now In Public Beta! After more than ten development releases, 2x0ng now has a public beta testing version available, which features additional polish as the game nears full release. Quote In the year 2B7F, the Xiomacs virus escaped its interpreter and began to attack the System. Defend the System: use the arrow keys (or numpad) to move your guy, and press spacebar to throw the colored ball. The ball picks up the color of any brick it breaks. The dashed lines ("gates") can only be broken by a ball of the same color. 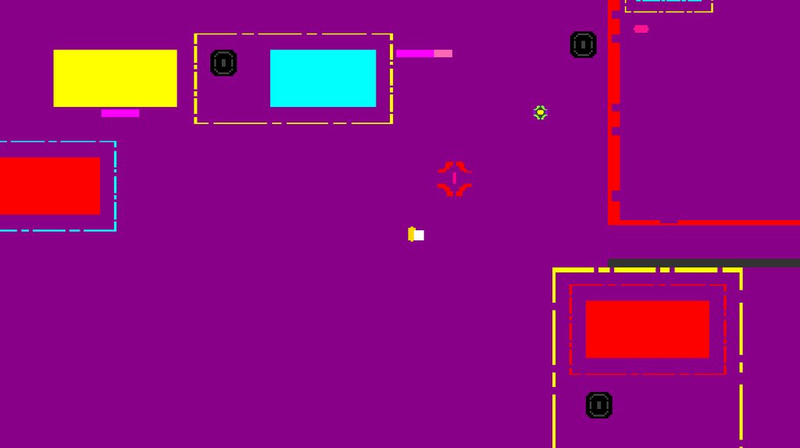 On each increasingly-difficult algorithmically-generated level, your goal is to reach the purple exit square thingy by unlocking the colored gates while avoiding and destroying an onslaught of enemies. 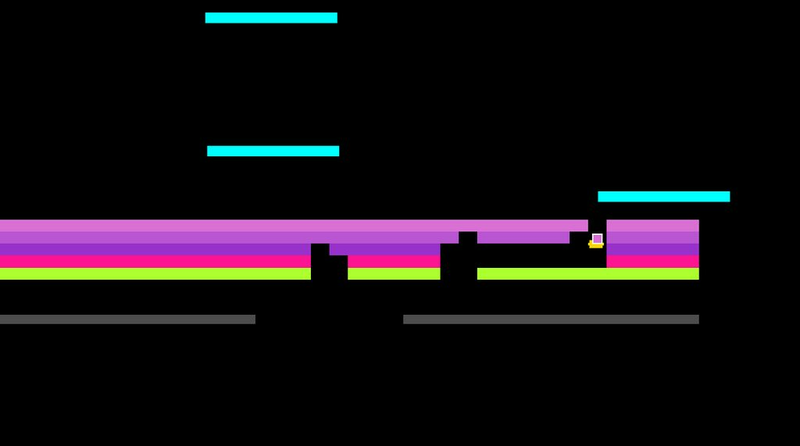 On the surface, 2x0ng is a mashup of a variety of early 70s and 80s computer games, channelling some of the feeling of Robotron, Revenge of the Beefsteak Tomatoes, Berzerk and Breakout. Out of this melting pot, 2x0ng manages to bring something new and emergent that makes for a fun and addictive experience. Downloads, more screenshots, gameplay videos and a trailer, and the game's soundtrack can be found on the 2x0ng website. 2x0ng game is Free Software, released under the GPLv3 (with assets CC-BY-SA). Is the category "Free game" for libre/FOSS games or just for games for which you don't have to pay? If there is no libre/FOSS game category, there should be!